Well, let’s take our minds off that for now, and I’ll share with you a new card that I’ve done! This one actually ‘fits the bill’ for 2 challenges – the Watercooler Challenge WCC22, and The Paper Players PP241. Both challenges call for water colouring, so I thought – why not? I started with a panel of Watercolour paper, and taped off 1/4″ all the way around. First I inked up the image stamp from Thoughts & Prayers in White Craft Ink, and heat embossed using White embossing powder. After lightly wetting the paper, I used an Aqua Painter and re-inkers to create the background. I applied Basic Black to the top and bottom, Old Olive , Pumpkin Pie and Daffodil Delight (bottom to top). I layered the Watercolour paper onto a panel of Pumpkin Pie cardstock, the added a piece of retired Old Olive ribbon along the side. The front panels were then attached to a card base of Old Olive cardstock. 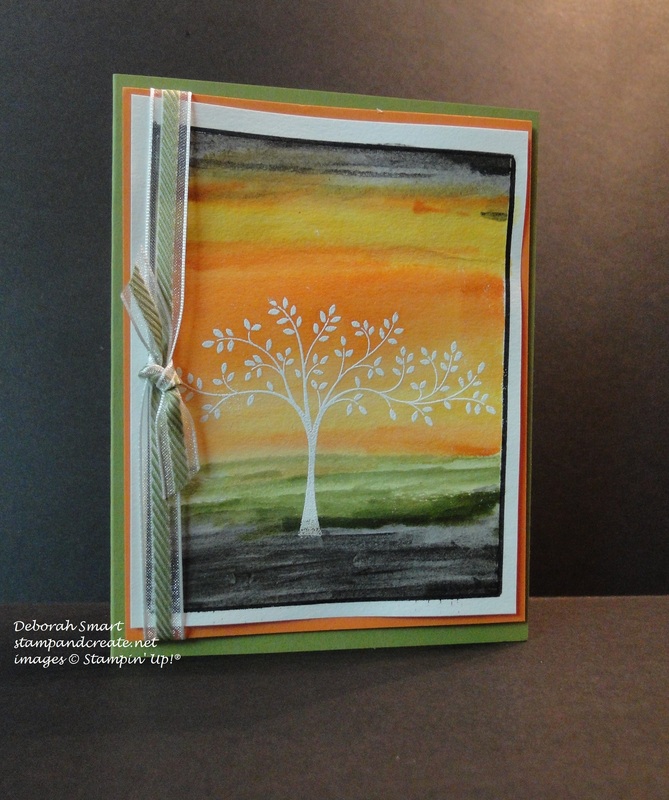 I used a Basic Black Stampin’ Write Marker to line a border around the image. I decided to leave off any sentiment, so that it would stay clean & simple, and the focus would be the watercolouring. I really enjoy watercolouring, and the freedom it gives you. I like that no 2 cards will be exactly the same, and by simply changing colours, you can change the entire look of a scene. Well, I hope you enjoyed seeing my card today! 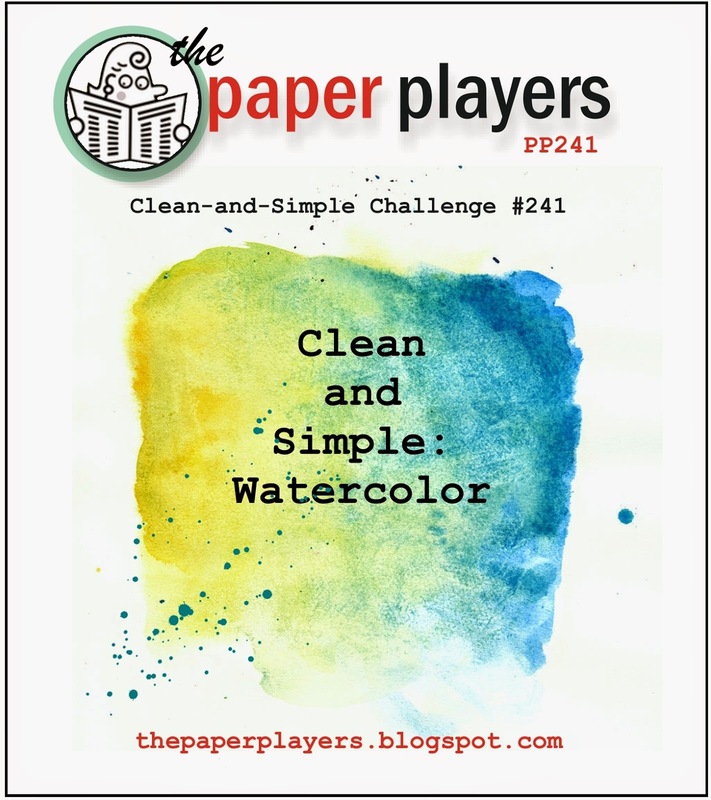 If you haven’t already, I hope you’ll check out the Watercooler Challenge and the Paper Players pages for lots of great inspiration! 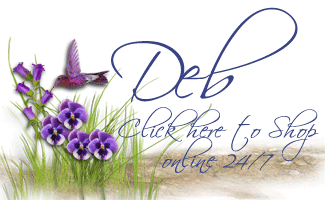 If you want to be sure not to miss my posting of the retired list, just click on the ‘Subscribe to Blog via Email’ on the left side of this page – enter your email address, then click subscribe – and you’ll received updates each time I add a new post to my blog. Next Next post: Retirement List is Here – Last Chance! Stunning, Deb. 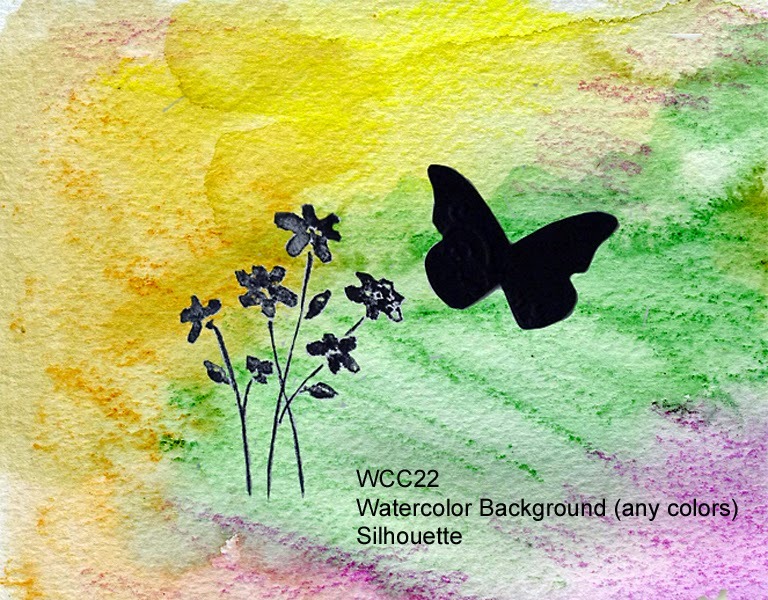 Love the white silhouette against your beautiful watercolouring. Thanks so much for joining us for the Watercooler Challenge. These colors are so pretty and dramatic together. Love the white embossed tree and the serene quality to the overall design. Thank you for joining us at The Paper Players! I’m so glad that you liked my card, Nance! I liked the pop of white embossing, rather than the usual black, for a silhouette. Lovely card, Deborah! Thanks for sharing it at Watercooler Challenges. Beautiful card Deb. Thanks for joining the Watercooler challenge again. I always enjoy your contributions. The white silhouette really does pop! Thanks to for sharing the how to of your creation. I’ll have to play some more with this idea. I tend to forget that we can use the resist technique with watercolor too. Wow Debra this is such a dramatic background and stamped image. I really like the white embossed stamping resist technique you used and your addition of ribbons on the side of the card. Thanks for sharing. Hey! I wanted to say what Jean said. Well I will anyway — that white silhouette really pops out! There. I said it! Bev, you make me laugh! 🙂 Thanks so much for visiting & leaving a comment – I really appreciate it, my friend!